Now that you can define and measure Hiring Success, what else might you need to make it one of your company’s core functions? You’re going to need a system that supports your hiring teams, but how can you define those parameters? Doesn’t your current ATS already do that? Chances are, it doesn’t. Candidate Experience is an Afterthought at Best: Marketing to candidates and ensuring they can easily connect to corporations was never a design consideration. Application forms and processes are often long, complicated, don’t work on mobile phones, and are routinely abandoned by top candidates. These systems tend to have no concept of integrated sourcing, talent pools or outbound candidate marketing and require organizations to cobble together bolt-on marketing solutions from third-party companies, creating a Frankenstein experience for all. User Experiences that Hiring Managers Reject: The systems were set up as linear workflows with no consideration as to how collaborative hiring actually works. With multiple cascading windows, unlimited tabs, and a cumbersome UX, hiring managers and teams refuse to use these systems, making it impossible to drive a consistently positive hiring experience within the application and the organization. 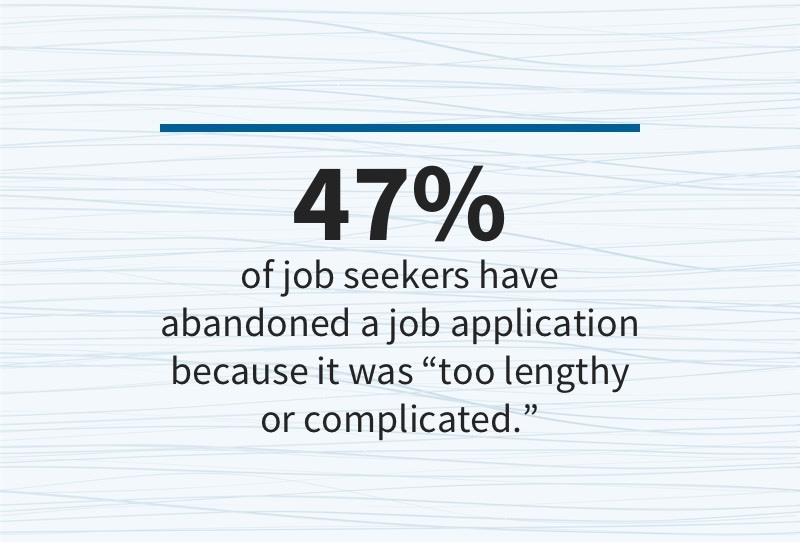 A Lack of Meaningful Data, Insight, & KPIs: With candidates & hiring teams routinely rejecting the systems, most hiring activity is captured outside (email, documents, etc). As such, with a lack of data in the system, recruiter productivity is destroyed because they can’t easily prioritize their day to day actions nor professionally drive appropriate follow-up with each candidate. Even worse, the system doesn’t generate any meaningful data as it relates to Hiring Budget, Hiring Velocity, or Hiring Quality. Integration Nightmares & Innovation Graveyards: Recruiting is a very fragmented process with a number of sub-processes and vendors that recruiters must work with, especially on the sourcing and assessment side. None of the legacy ATS systems easily integrate with these vendors and recruiters not only rapidly become swivel-chair quarterbacks (alt-tabbing between applications), but are forced to run candidates through a set of unintegrated experiences which usually leads to the best ones giving up on the company and the opportunity. There is a generational shift as recruiting is changing from an HR workflow to be more like a Sales and Marketing function that focuses on attracting candidates to a brand. As you work toward creating Hiring Success, you need to ensure you have a solution that is a fit for your purpose. Most legacy ATS providers and the recruiting module of HR systems are focused doing one thing well: tracking applicants. Their strengths are automating the process to track applicants and they’re built on an old paradigm that treats people as cogs in a machine, moving them from one stage to the next. They don’t support the way candidates want to be treated, how hiring managers need to be engaged or increase the productivity of recruiters. 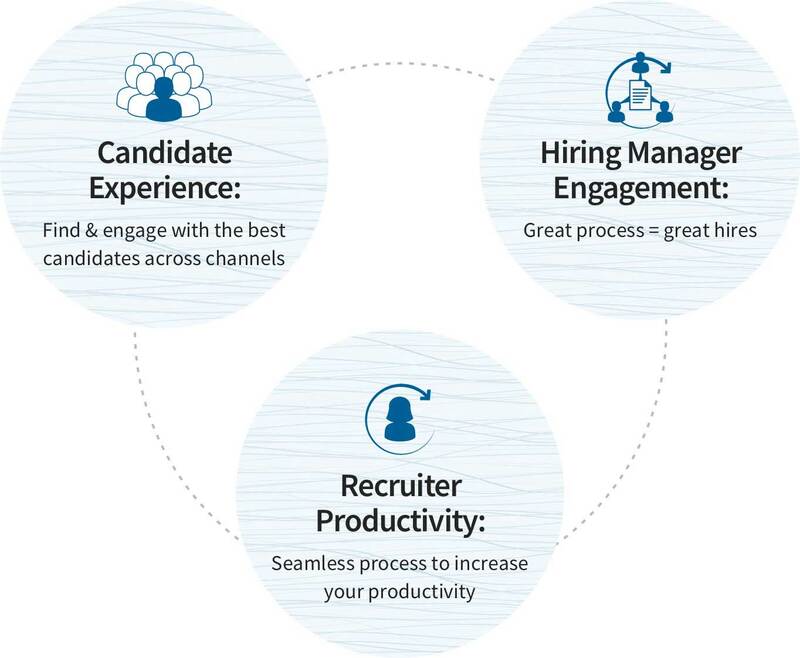 Will this solution help find and engage top talent with an amazing candidate experience across all channels? Will hiring managers and teams openly embrace and use this solution every day? Will recruiters have the pipeline, insight, process, and control they need for their productivity to skyrocket? Will this solution easily integrate with my existing / future HRIS and with the dozens of point solutions my recruiters use? In other words, will such a solution help you deliver Hiring Success to the business? We think the answer more often than not is “no” and what is needed to deliver an incredibly positive return on hiring is an integrated talent acquisition platform.